One day earlier this week, the Minnesota Twins were pounding the Baltimore Orioles 7-0 in the ninth inning when Chance Sisco, one of the Orioles’ rookies, bunted for a hit. Bunting when you’re that far behind (or ahead) and it’s that late in the game is a violation. Not an official violation, but it goes against one of baseball’s many unwritten rules. The Twins were not happy about that bunt. Their all-star second baseman, Brian Dozier, as reported to MLB.com, confirmed after the game that he “was not a fan of it.” He’d refrained from directly confronting the rookie who’d committed the faux pas while he was on base, he said, because he expected that the Orioles’ “veteran leadership” would handle it. I will venture to say that, quietly, some of the Orioles probably agreed with Mr. Dozier. Why should anyone have a problem with anything so trivial, seemingly petty, even mundane? When did a bunt become an insult? 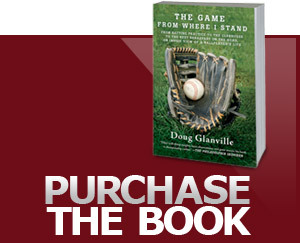 To understand that, you have to understand baseball’s unwritten rules. We continue to look at these unwritten rules through a cloudy lens. Breaking them, no matter how insignificant we believe it to be, is not akin to double parking, spitting on the sidewalk or getting a ticket for jaywalking. For they are more like religious tenets (and baseball dances with religious connotations in its descriptions: sacrifice bunts ... sacrifice flies ... saves!) and parenting legacies passed down generation to generation, adapted slowly, like an aging port. Countries have gone to war over tenets, but not over the jurisdiction of the dogcatcher. Crusades have been waged over religious mandates, not over when to give a timeout to your son. But yes, humanity has also waged war for the affection of the king’s daughter or because of a personal affront to Henry VIII, so before we talk about bunting against the shift, let’s look at all the conflict we have fueled over ludicrous and laughable priorities. It may not be war, but playing baseball is just being human. Who does it really hurt when you celebrate a home run a little more enthusiastically than your opponents feel is appropriate, or when I steal second with my team already up by 7, or vehemently argue a call in the ninth inning of a game we’re winning by 13 runs? Who really cares? Sportsmanship cares, for starters. After a Little League game, the players shake hands. (Not sure why they don’t in the big leagues.) We play by the rules, we honor our history, we respect our opponent. Sportsmanship is not quantifiable; we say we know it when we see it. But how does one govern sportsmanship at the pinnacle of the profession? How does one “know it when we see it?” You guessed it: with the legacy of unwritten rules. And it isn’t just baseball that contributes to these rules. Such sensibilities require time and commitment to take hold. So we rely on history, on the next generation and on some level of associative cooperation for the tricky task of pinpointing elusive parameters of respect. Any set of rules, especially unwritten ones, depends on adaptation that evolves after our own baseball-playing lifetime has expired. Is this a good thing? Yes. We should be happy that grace is still considered a goal of fair play. How exactly that plays out is what causes much of this debate. If the Orioles (in the above instance) are still trying to win by getting a base runner on, that is a noble cause. If the Twins are still trying to preserve their lead by shifting the defense, then so be it. No one really can complain about either team playing hard through the last out. After all, many a game has been won with just a strike left and one team’s back against the wall. It just happened that the spirit of competing to the undying end — which is what we expect from big leaguers — created this unwritten moment. Bunting in the third inning while down 7-0 would not have prompted outrage. Not so in the ninth. Theoretically, a player versed in the unwritten lexicon should know when to say when. There is some historical context. Unwritten rules fill in the blanks concrete law leaves us. Two major safety rules have come about since I retired in 2005: the “Posey rule,” which protects catchers at home plate from getting smashed by runners, and the “Utley rule,” which prohibits runners from targeting infielders. During my time, you could run the catcher over and wipe out the infielder on a double play, though you still had interference-regulating rules about going in “spikes high” or body-rolling or being required to reach the base when you slid. The unwritten rules made us all accountable, not just the umpires and coaching staff, and through them players educated other players on caring about safety. Now that these rules have adapted to a world with less contact, players continue to share their nuances to underscore the importance of safety for all. When my children eat dinner, I often pull my hair out. All four of them are under 10, and all do something that offends my sensibility. But in the end, I am motivated by my family history, my expectations for them in the world, and I remember that what my wife and I expect is not written in law. Our lives are enveloped in unwritten rules that cover safety, politeness, respect, etiquette, money and so on. These are ways to acculturate a new generation in tradition, and doing that empowers that generation to take ownership, invest and evolve them. So we open gifts on Christmas Day, we don’t take a bite of dinner until we read the grace, we hold the door for Grandma, I kiss my daughter on the forehead every night before bed. Did we hand out a rule book? Nope. So how do we know what to do? As a former big leaguer, I roll my eyes in isolated cases and think baseball players’ ideas on unwritten rules are silly and uptight, or even culturally insensitive to baseball’s evolving diversity. But I also see behind the bravado. I see the value in the dialogue around baseball’s invisible statutes that makes it a generational game. Veterans and rookies, retired players and coaches engage across team loyalties about how they want the culture of the game to move forward. Imperfect, but considerably better than rejecting all lessons of the past — or, worse, ignoring them completely. Photo Caption: Chance Sisco of the Baltimore Orioles batting earlier this week against the Minnesota Twins in Baltimore.